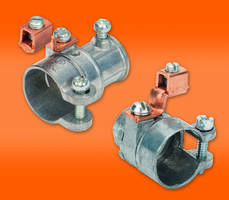 Matco-Norca’s 433 DLF Domestic Water Meter Coupling is offered in five sizes ranging from 1/2 in. MIP x 2-1/4 in. up to 2 in. MIP x 3 in. 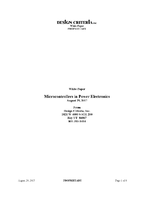 The unit is used for connecting water meter to valve or house piping. 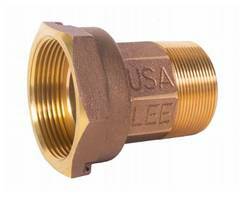 It is compliant to AWWA C800 standards and is designed with C89833 brass ingot. SeriesLock™ Couplers come with non-magnetic springs. 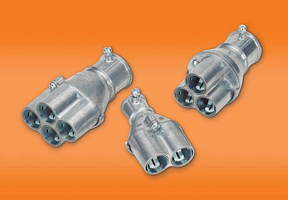 SeriesLock™ Couplers are offered to accommodate barb sizes ranging from 1/8 in. ID to 3/4 in. ID Tubing. Couplers offer spring-free flow path and audible click for connection. 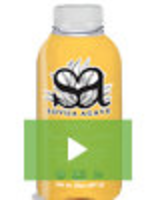 Product optimizes the flow, reduces restriction, turbidity, foaming and bubbles. Units come with recessed mating, safety slide release and single barb technology and reduce accidental disconnects. 281-DCG Couplings meet cULus standards. Used to transition and bond ½ in. flexible metal conduit to ½ in. EMT, 281-DCG Couplings are suitable for prefabricated motor applications. 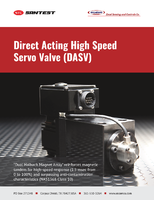 Paired with Bridgeport’s 407-DC2G fittings, units feature external mechanical copper lug. 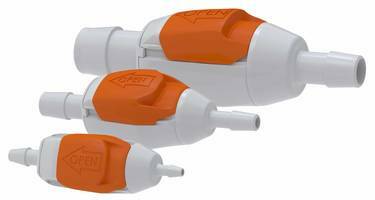 Mighty Merge Couplings integrate multiple cables into one EMT conduit. 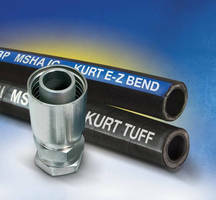 2 Hose Styles and 1 Coupling Style from Kurt Hydraulics Equals A "Total Hydraulic Solution"
Offered with 14 panel mount options, HFC12 Series allows OEMs to integrate flexible tubing connections directly into devices or equipment. 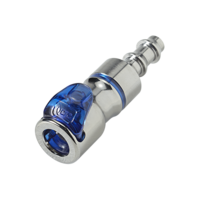 Quick disconnect couplings and panel mount inserts are available in polypropylene for chemical resistance and are gamma sterilizable. 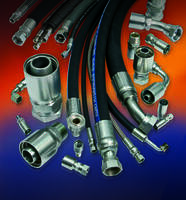 Panel mount versions offer both inline and elbow hose barb terminations as well as valved and non-valved configurations. 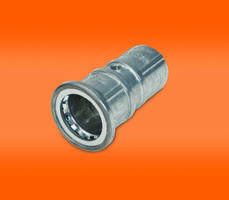 Quick Disconnect Couplings reliably serve oil, gas applications. Tool-Free Driveshaft Coupling has quick disconnect design.